What Causes Psoriasis Burning and Pain? There are several different types of psoriasis and they can each bring a different set of discomforts. Sometimes, the itch is pervasive and widespread, and it’s enough to drive you crazy. Other people have pustules that look worse than they feel, while others suffer from deeper pain that’s nearly impossible to see. One thing they have in common is a stubborn, irritating presence that defies simple treatment. Although itch tends to be the most common complaint among psoriasis sufferers, it doesn’t always manifest as you might expect. 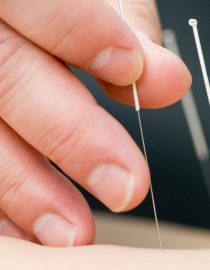 Some people experience a really deep itch — one that no amount of scratching will relieve — while others describe the discomfort as pins and needles, painful pinching, or even burning. In many cases, the nerve response is to blame, but painful burning could point to something else. Find out what may be behind your psoriasis symptoms in order to re-focus your treatment approach and find some quick relief. Some people with skin psoriasis also contract psoriatic arthritis in the joints, especially the fingers, leaving them red, puffy and sometimes warm to the touch. In these cases, a deep burning could stem from the inflammation. When the burning is clearly in your skin rather than your joints, it is likely related to the nerve response in this layer of tissue. These burning sensations could call for slightly different treatment than you might use for itch. If the burning is worse than the itching, you probably won’t find relief in a warm shower, hot compress, or lotion with capsaicin (the active ingredient in chili peppers that’s used to relieve itch and inflammation). Instead, you might want to try a cooling pack, or switch to a gentle moisturizing cream you keep in the fridge for a cooling affect when you slather it on your skin. When the burning comes with redness, heat, pus or swelling, you could have an infection. This is especially likely if the plaque has cracked or your scratching has broken the skin around the affected area. If your burning brings these other symptoms, comes on unexpectedly, or worsens over the course of a day, see your doctor as soon as possible to get the antibiotics you need to clear up the problem. Psoriasis pain can stem from a few different sources. Psoriatic arthritis brings pain and swelling to joints — you’ll probably notice the tenderness more when you apply any pressure to the spot — and severe plaque outbreaks can trigger nerve endings in a number of uncomfortable ways. But there are also things you could (or shouldn’t) be doing to diminish your pain.